Once again those wonderful students at Ballard Road Elementary school donated the proceeds from their annual coin drop to local food pantries. 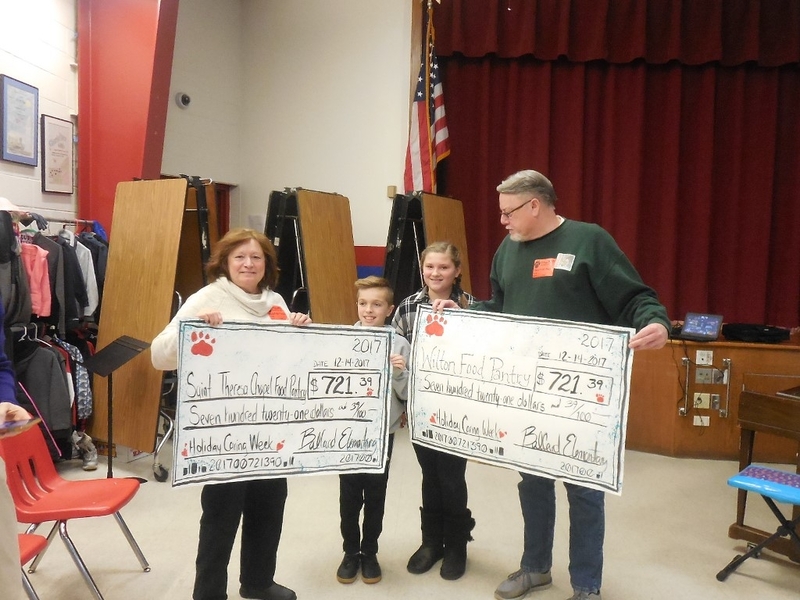 St. Therese of Gansevoort and the Wilton Food Pantry each received $721.39 to continue to assist our food insecure neighbors. In addition to the money raised they also collected 424 pounds of food. Thank you to the great kids at Ballard Rd Elementary!